Hi loves! How have you been? I came home today from a long weekend in Zürich, Switzerland. My boyfriend and I visited his family, it was fun! But, we took the night train and now my neck is so sore I can't even really turn my head.. painting my nails today also was a bit painful but necessary I had been wearing gel polish since last week Tuesday and I was SO done with it! 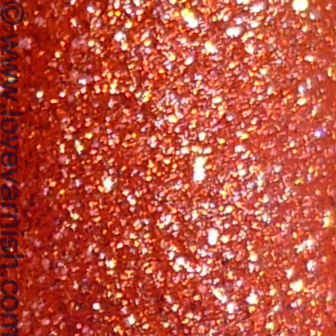 Luckily, before we left OPI Jinx arrived, I already swatched it on a nailwheel so I knew how beautiful it would look. I am still very impressed with it on my nails and really adore this beauty. This one is from the Bond Girls collection, I must admit I am debating to get Honeyrider too - so pretty! I needed 2 coats and it applied easy, no clumping or patchyness at all. I started using Duri Rejuvacote as my basecoat today, curious to see the results! 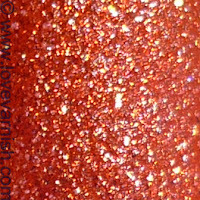 OPI Jinx dried quickly and when it dried, the beautiful matte yet sparkly texture came to surface. The gold sparkles so pretty! Do you like this texture as much as I do? Tell me what your favorite texture polish is in the comments! This is one of my favorite textured polishes!!! I really love the sparkles! Thanks Tiina, and thanks for commenting so regularly! Haha yeah I recognize that feeling! Thanks dear! Tiffany Case looks pretty but the blue doesn't seem to have much depth tho. Thanks so much Eva :). I love Jinx, it's my favorite of the Bond Girls! I love the shimmery textured polishes. Kiko Sugar Mats and P2 Sandstyle ones are great, too. I need to get some of the Zoya Pixie Dusts for Summer. Yes the Kiko ones are on my wishlist, but I can't buy them here :(. I am looking forward to the autumn Pixie Dusts actually! That army green ♥.. I thought I didn't need any Bond Girl, and then here you are.